The FCC has put "on circulation" its decision on the ARRL's Petition for Rule Making (RM-11708), seeking to change the Amateur Service Part 97 rules to delete the symbol rate limit in Â§97.307(f) and replace it with a maximum bandwidth for data emissions of 2.8 kHz on amateur frequencies below 29.7 MHz. Proceedings on circulation are pending action by the full Commission, although there is a current backlog, and FCC action is not likely in the near future. ARRL General Counsel Chris Imlay, W3KD, said the League has remained patient. "While we had hoped for more responsive handling, it is understood that the large number of comments from radio amateurs on the Petition took some time to sort out," he said. "It was good to note that the Wireless Telecommunications Bureau has circulated a draft of what we presume to be a Notice of Proposed Rule Making responsive to our Petition to the Commissioners for their consideration. We hope to see the proposal released soon." In its petition, the League asserted that the changes proposed would "relieve the Amateur Service of outdated, 1980s-era restrictions that presently hamper or preclude Amateur Radio experimentation with modern high frequency (HF) and other data transmission protocols" and would "permit greater flexibility in the choice of data emissions." Symbol rate represents the number of times per second that a change of state occurs, and should not be confused with data (or bit) rate. 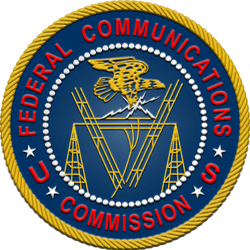 Current FCC rules limit digital data emissions below 28 MHz to 300 baud, and between 28.0 and 28.3 MHz to 1200 baud. At one point, the 2013 petition topped the FCC's list of "Most Active Proceedings," attracting hundreds of comments. Read more. The ARRL Contest Advisory Committee (CAC) has been looking into how to attract more youngsters and youth into Amateur Radio contesting, and it has invited all hams, and especially young people, whether or not they're already radio amateurs, to take the Youth in Amateur Radiosport Survey. 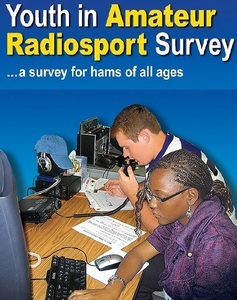 "Please spread the word about the survey among your ham friends and local radio and contest clubs," said CAC Chair George Wagner, K5KG, adding that the CAC would like to see more young people engaged in "the thrill and challenge of competitive ham radio contesting -- also called 'radiosport.'" Wagner and fellow CAC member Glenn Johnson, W0GJ, plan to hand out survey announcement cards at Dayton HamventionÂ® -- Johnson at the NCDXF booth and Wagner at Carole Perry's, WB2MGP, Youth Forum and at the ARRL Youth Rally. As an initial step, the CAC is gathering information about where and how young people are currently involved in radiosport. It's contacting ham radio clubs, contest clubs, private schools, international youth ham radio organizations, and the general public. The committee is using surveys, focus groups, and even face-to-face meetings to check "the lay of the land" about youth and radiosport in today's world, Wagner said. Radio contests grew out of attempts in the early 1900s to transmit and receive signals across the Atlantic, essentially the beginning of the use of the "short waves" to span such long distances. Contests have allowed hams to practice message handling -- used during emergency communication -- as well as to gauge their own operator proficiency and their station's performance. Over time, contests grew and flourished to the point where many hams today pursue contests as their primary ham activity. 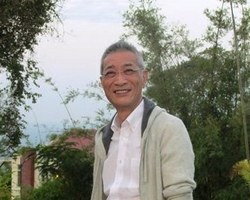 "For those who participate in radiosport, it provides a thrill that's often compared to roller coaster rides or video gaming or big game hunting," commented CAC member Don Daso, K4ZA. "There's just something about contacting a great number of people all over the world as fast as possible, or talking to someone -- just like yourself, at a station like your own -- on the opposite side of the world, and doing it without using a giant infrastructure or even a huge outlay of money." Like many types of competitions, this "sport," Daso said, can be addictive. The survey will continue to accept input until August 31. 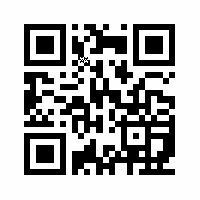 Scan the QR code above, or visit the online survey to participate. US radio amateurs have until June 1 to submit suggestions to the ARRL Board of Directors' HF Band Planning Committee regarding possible changes to the International Amateur Radio Union (IARU) Region 2 Band Plan. That band plan and other significant Amateur Radio spectrum issues will be on the agenda for the IARU Region 2 General Assembly in Chile this fall. The ARRL joins other IARU member societies in the Americas in seeking input from the amateur community on the Region 2 HF Band Plan. The HF Band Planning Committee will review the current plan, consider comments from US radio amateurs, and recommend any changes to the ARRL Board for submission to IARU Region 2. The Committee urges US radio amateurs who are considering suggesting revisions to the IARU Region 2 Band Plan first to study the existing IARU Region 2 Band Plan. They then should formulate a clear statement of any proposed changes, including a brief explanation of why each particular change would benefit all IARU Region 2 spectrum users. Participants should include their name and call sign. Submit input via e-mail by June 1, 2016. Messages will be automatically acknowledged. Read more. ARRL EXPO -- the ARRL's "show within a show" -- at Dayton HamventionÂ® 2016 will incorporate the interests of the International Amateur Radio Union (IARU) and of several IARU Member Societies. These will include the Japan Amateur Radio League (JARL), which will be accepting applications for JARL awards; the Deutscher Amateur Radio Club (DARC); the Qatar Amateur Radio Society (QARS), and the Radio Society of Great Britain (RSGB). Hamvention takes place May 20-22 at Hara Arena, near Dayton, Ohio. Visitors also may have cards checked to qualify for various JARL awards, and, once you've completed an application, JARL representatives can issue some popular JARL awards (AJD, WAJA, ADXA) on the spot. JARL also will be accepting applications for the IARU Region 3 Operating Award. Certificates will be mailed to applicants after Hamvention. ARRL staff and DXCC volunteer card checkers will offer DXCC card checking and award application processing. Use the Online DXCC tool and save money on your application! Bring a printout of your application, card list, and cards -- in the order entered into the Online DXCC. ARRL members also may drop off their QSL cards to be sent through the ARRL Outgoing QSL Bureau. Sort cards by DXCC entity. Greeting visitors on behalf of the IARU will be President Tim Ellam, VE6SH/G4HUA; and Secretary Rod Stafford, W6ROD; IARU and ARRL President Emeritus Larry Price, W4RA, and technical representative Peter Chadwick, G3RZP. ARRL International Affairs Vice President Jay Bellows, K0QB, will also be on hand at ARRL EXPO. Hamvention will host an International Relations booth within ARRL EXPO's international row to welcome and greet convention visitors from abroad. For full details about ARRL activities and programs at Hamvention 2016, visit the ARRL EXPO web page. For the fourth consecutive year, the ARRL will be represented at the IEEE International Microwave Symposium (IMS). The theme of the May 23-27 event in San Francisco is, "Connecting Minds. Exchanging Ideas." The IEEE Microwave Theory and Techniques Society sponsors the conference and hosts meetings of its various technical committees. Dubbed "The World Series of RF," the IMS annually attracts some 10,000 wireless industry professionals, university educators, and STEM students. Hundreds of companies exhibit RF-related products. The IMS features 3 days of technical presentations along with continuous mini-presentations on the exhibit floor, including a panel session on Amateur Radio in Education at the university level. The League is encouraging industry professionals to visit the ARRL booth in the University area. "This is an opportunity to share ideas on encouraging students and educators to become involved in Amateur Radio to further their personal and professional development," ARRL Contributing Editor Ward Silver, N0AX, said. 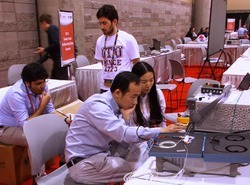 A student design competition team at work during IMS 2015. "At the IMS, there is a student design competition with a wide variety of challenges, ranging from wideband baluns to computer-aided design for microwave semiconductors," Silver pointed out. "Students also have paper and poster presentations. Universities have booths that present information on their wireless and RF programs." Silver will be managing the ARRL booth at IMS and helping to represent Amateur Radio. A Ham Radio Social will be held on Tuesday, May 24. "It's a great opportunity to make connections and explore ideas after a busy day on the convention floor," Silver said. He invited IMS attendees to visit the ARRL booth to contribute their ideas and suggestions. Contact Silver if you're willing to assist at the ARRL booth. Read more. "Open Wire Feed Lines" is the focus of the current (May 5) episode of the "ARRL The Doctor is In" podcast. Listen...and learn! 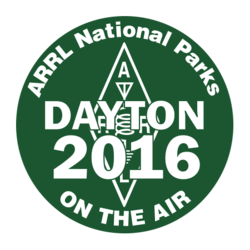 ARRL has an opportunity for those traveling to Dayton HamventionÂ® who want to activate an NPS unit for National Parks on the Air (NPOTA)! ARRL has secured an operating permit with the Dayton Aviation Heritage National Historic Park in downtown Dayton. The special NPOTA activity will be available for visiting operators to enjoy activating an NPOTA unit without having to bring their own gear. The event will run from Friday, May 20, until Sunday, May 22, at the Wright-Dunbar Interpretive Center. Operations will be from 9 AM-5 PM on Friday and Saturday, and 9 AM-noon on Sunday. ARRL Ohio Section Affiliated Club Coordinator John Myers, KD8MQ, is coordinating on-site operations for the event. He is looking for volunteers on Friday and Saturday who would be able to help visiting operators and/or explain NPOTA and Amateur Radio to non-ham park visitors. Even an hour or two of time as a volunteer would be helpful. Contact John Myers to volunteer or to sign up for a 15-minute operating slot. All slots are available on a first-come, first-served basis and all operators are limited to one slot, to make this opportunity available to as many visitors as possible. There are 47 activations scheduled for May 5-12, including the first-ever activation of Buck Island Reef National Monument in the US Virgin Islands, and the George Rogers Clark National Historic Site in Indiana. 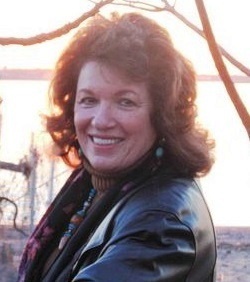 Noted Amateur Radio teacher and mentor Carole Perry, WB2MGP, will once again moderate Dayton HamventionÂ® forums focusing on youth and youth activities. She will lead the Instructors' Forum on Friday, May 20, 10:30 AM-12 PM, and the Youth Forum on Saturday, May 21, 9:15 AM-12 PM. Among the Youth Forum presenters will be 9-year-old Hope Lea, KM4IPF, who will talk about her experiences in satellite work in "Talking Through the Birds." "The Youth Forum is where we showcase our best and brightest young hams," Perry said. "Eleven young hams will give presentations about their accomplishments and the fun they have in a variety of ham radio venues and experiences. Come support the future of our hobby and service! This is where young people will get to meet with other youngsters." One young speaker, 17-year-old ARRL member Maria Lysandrou, KD9BUS, will appear at both the Youth Forum and the Instructors' Forum, but will deliver her "Attracting Females into Ham Radio" presentation -- about getting more women and girls interested in ham radio -- only at the Instructors' Forum. "This year I have a record-breaking 11 young presenters at the Youth Forum," Perry explained. "So, in the interest of time, Maria has consented to speak at the Instructors' Forum and to be recognized along with the others at the Youth Forum." Kelsey Seymour, K3LSY, 17: "Preparing Yourself: An In-Depth Look at Go-Kits for Emergencies"
Brandon Geik, WA9REV, 16: "ARISS Contact" and "Cell Phones Down and Radios Up"
Eli Musgrave, KM4HFZ, 15, and Zach Haidari, KM4QIV, 14: "Discover the Fun and Magic of Digital Radio Communications"
Skyler Fennell, KD0WHB, 17: "Home Brewing on a Budget"
Jacob Nagel, AD0JA, 16: "Programming New Radios"
Marty Sullaway, KC1CWF, 14: "Home Brewing Fun"
William Ferguson, KJ4EYZ, 14: "Setting up a Radio Station to Chase DX"
Dhruv Rebba, KC9ZJX, 11: "Helping Communities in US and India with Radio Communications"
Perry said the Instructors' Forum is the meeting place for teachers, instructors, scoutmasters, youth club leaders, and others to network and share ideas about working with young people and ham radio. Bob Roschewsk, KA2PBT, "How to Advance Amateur Radio in the School System." Lukas Purasson, KD2ISB, and Nick Roschewsk, KD2HBR, "Antennas and the Engineering Design Competition." Sam Rose, KC2LRC, "Advantages of College Ham Radio Clubs." A past Hamvention Ham of the Year, Perry has moderated the Dayton Youth Forum for 29 years. A recent BBC news article regarding a synthetic aperture radar (SAR) contract award for operation within the 70 centimeter band has raised some concern within the Amateur Radio community. The contract to Airbus Space would involve determining the density of Earth's forests using a P-band (432-438 MHz) SAR. That band segment was allocated for use by the Earth Exploration Satellite (Active) Service (EESS Active) at World Radiocommunication Conference 2003 (WRC-03). ARRL Chief Technology Officer Brennan Price, N4QX, said SAR activity has not been found to be a significant problem to Amateur Radio activity on the 70 centimeter band. Both EESS (Active) and Amateur Radio are secondary on the band in International Telecommunication Union (ITU) Regions 2 and 3 (Amateur Radio is co-primary with the Radiolocation Service in ITU Region 1), and Price said SAR operation is subject to significant constraints. "The interference potential from one orbiting SAR to one fixed Amateur Radio station is on the order of less than 1 minute over an orbital period of more than 10 days," Price said. "Practically speaking, nearby electrical lines and Part 15 devices are more likely to be bothersome." Price said news items in articles aimed at the general public are "often notoriously short" on technical details. ITU-R Recommendation RS.1260-11 -- incorporated by reference in the ITU Radio Regulations and binding on EESS (Active) stations -- spells out the WRC-03 consensus on SARs operating at 70 centimeters. Among other things, RS.1260-1 states that EESS (Active) instruments operation profile "shall be campaign-oriented, targeted to specific geographical areas and shall limit the instrument active time to the minimum required to achieve the campaign objectives." Read more. RFinder, the creator of a web and app-based directory of Amateur Radio repeaters worldwide, now includes the ability to report radio jamming anywhere. This feature is already available in RFinder's Android app and should be available for iOS devices by the time of Dayton HamventionÂ®. Those without a device or subscription can file reports online. Individuals or entities responsible for coordinating anti-jamming activities can also request access to view jamming reports for their area. "Repeater jamming is a problem worldwide, [and] we've created a way of organizing anti-jamming activities worldwide," says Bob Greenberg, W2CYK, creator of RFinder. "We are evaluating some automated monitoring technology to integrate in the near future. This new feature just extends RFinder's social features even further." RFinder includes more than 60,000 repeaters in some 170 countries around the globe. RFinder is integrated directly with EchoLink on both Android and iPhone and provides the ability to share repeater check-ins on Facebook, Twitter, and APRS. RFinder is integrated with RT Systems and CHIRP radio programmers and has a routing feature, where users can find repeaters worldwide over a given route. Video demos of RFinder features are available on YouTube. In February, ARRL announced it had established an agreement with RFinder to be its preferred online resource of repeater frequencies. Subscribe to RFinder from your iPhone, iPad, or iPod Touch, or from your Android smartphone or tablet. The annual $9.99 subscription provides access to repeater data worldwide through RFinder's collection of apps for Android and Apple devices, and from nearly any web browser. RFinder will have an exhibit in the ARRL EXPO at Dayton Hamvention, May 20-22. Romania has tentatively joined the group of countries making a band at 5 MHz -- as opposed to a set of discrete channels -- available to Amateur Radio. It has granted radio amateurs access to 5 MHz on a scheduled testing basis for approximately 1 year. Tests are aimed at ascertaining whether propagation is favorable for emergency communication. For now, the band is just 3 kHz wide -- 5363.5 to 5366.5 kHz. Permissible modes are CW, PSK, RTTY, and WSJT, at a maximum EIRP of 15 W. Romanian hams must register for the testing program. Initial testing in the sliver allocation will take place on Thursdays at around 1600 UTC. 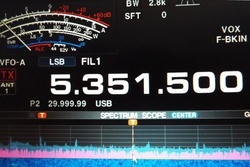 Belgium recently made available to radio amateurs a 60 meter band that conforms with the allocation determined by World Radiocommunication Conference 2015 (WRC-15) -- 5351.5 to 5366.5 kHz (15 kHz) with an effective isotropic radiated power (EIRP) of up to 15 W, and all modes allowed. Spain has renewed its temporary authorization at 5 MHz, which had ended last November, allowing the use of 5351.5 to 5366.5 kHz until the end of 2016, with a maximum EIRP of 15 W, CW and SSB only. The band supplants six channels authorized previously. Just days after WRC-15, the Netherlands opened a 100 kHz band for Amateur Radio use. Hams there may use 5350-5450 MHz at up to 100 W PEP. Article 4.4 of the ITU Radio Regulations âlets countries authorize frequency assignments contrary to the international Table of Allocations only on a non-interference, non-protected basis. The new 15 kHz worldwide band will not be available for use in the US until the FCC institutes a rule making proceeding and establishes operating parameters for the band. A set of five dedicated 5 MHz channels remains available to US radio amateurs. Read more. Digital Ops Invited to Take Part in 2016 Most Wanted DXCC Entities Survey: Digital mode operators are invited to participate in the 2016 Digital Mode Most Wanted Survey -- previously known as the "RTTY Most Needed DXCC Entities Survey." More than 350 digital mode operators took part in the last survey, conducted in 2011. Participants should read the "How to use the 2016 Digital Mode DX Most Wanted Survey" at the top of the survey web page. The survey will be open until 2359 UTC on Friday, May 13, and results could be available prior to Dayton HamventionÂ®. A new "Resume Later" feature has been added to the 2016 survey. Read more. 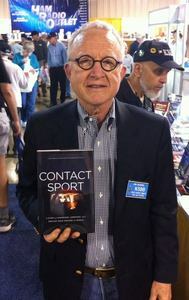 Meet the Author of Contact Sport at Dayton: Jim George, N3BB, the author of Contact Sport, which details the New England-based 2014 World Radiosport Team Championship -- sometimes called "the Olympics of Ham Radio" -- will be at Dayton Hamvention. George will be available to sign copies of his book, subtitled a Story of Champions, Airwaves, and a One-Day race around the World. Look for him at the Dayton Contest Dinner as well. A review of Contact Sport appears in the May 2016 issue of QST. Buy the book at the ARRL Store. Tad Cook, K7RA, Seattle, reports: Solar activity increased last week -- one of those occasional upticks on the way down from the solar cycle peak. Average daily sunspot numbers increased from 43.3 to 74.7, and average daily solar flux increased by 10 points to 91.9. The average planetary A index rose from 9.4 to 11.3, and the average mid-latitude A index went from 11.6 to 10.7. The latest forecast has solar flux at 95 on May 5; 100 on May 6-9; 95 on May 10-15; 90 on May 16; 82 on May 17-22, and 85 on May 23. Solar flux is forecast to rise above 100 on May 31 through June 6. Sunspot numbers for April 28 through May 4 were 84, 82, 82, 76, 75, 57, and 67, with a mean of 74.7. The 10.7 centimeter flux was 94.9, 92.4, 94, 92.2, 89.8, 90, and 90.1, with a mean of 91.9. Estimated planetary A indices were 5, 4, 7, 16, 31, 11, and 5, with a mean of 11.3. Estimated mid-latitude A indices were 6, 3, 9, 16, 26, 11, and 4, with a mean of 10.7.